Drive with Confidence at Magnum Automotive. We sell tires. We fix cars! Magnum Automotive has been your local auto repair center and tire dealer in Newton, IA for nearly half a century. 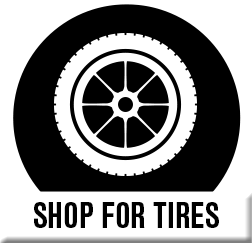 We sell and service new tires and wheels for customers from Newton, IA, Grinnell, IA, Baxter, IA, and surrounding areas. Magnum Automotive is located at 302 South 2nd Ave. E in Newton, IA. Our NAPA AutoCare Center and TIA-certified tire dealership is open Monday, and Wednesday through Friday from 7:30 AM to 5:30 PM and Tuesday from 7:30 AM to 7:00 PM. At Magnum Automotive, our staff will perform the diagnostics to gather the information necessary to determine the operating condition of key components of your engine. We have the knowledge, experience, and equipment to properly assess the next step in maintaining your car or light truck. If your “check engine” or other warning lights are on, your next step should be a stop at Magnum Automotive. We’ll figure out what your vehicle needs. At Magnum Automotive, we provide many automotive services. We have Goodyear Level 3-certified and MICHELIN® Tire Specialists on staff along with a deep background in brake and exhaust system repairs. See us for specialty services, including used vehicle inspections, headlight restorations, and any of your mechanical repair needs. 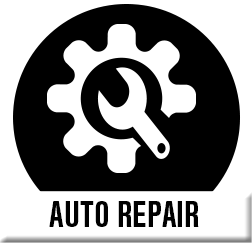 We strive to make automotive repair and maintenance easy on you.